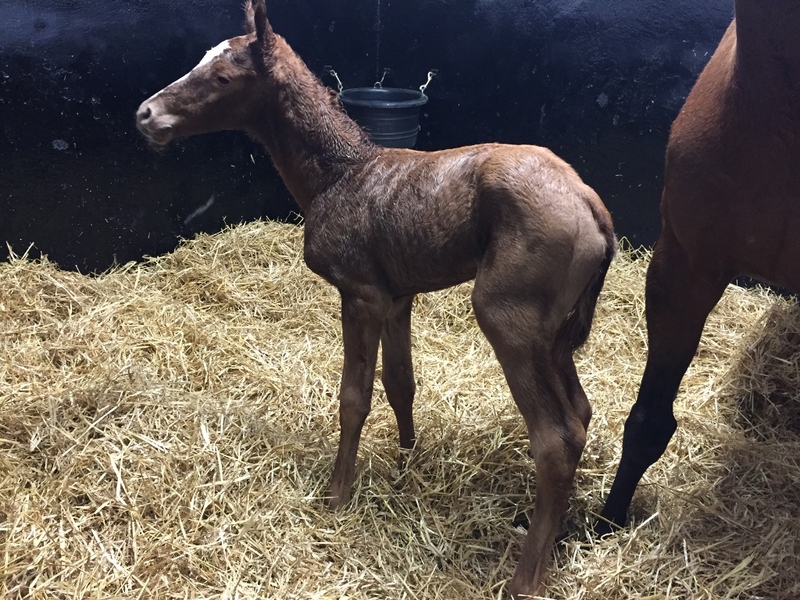 We are delighted to have our first foal of 2017 safely delivered! 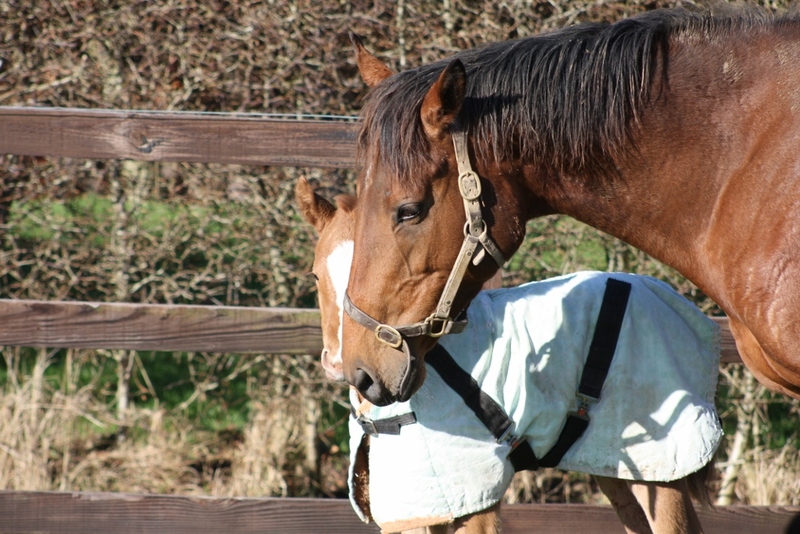 It only seems like yesterday when we sent Bluebell off to our dear friend Catherine Parke's Valkyre Stud in Kentucky. 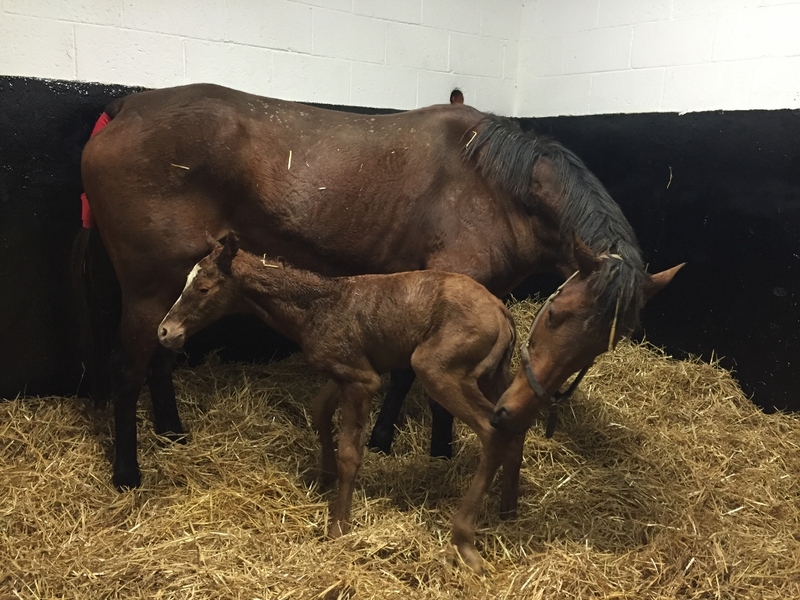 And here we are, with Bluebell and her lovely Kitten's Joy filly foal, born just after midnight this morning. Kitten's Joy is one of the leading US grass sires and he had a great 2016 season in Europe also. His main representatives here were Group winning Hawkbill (England) and Tareef in France. 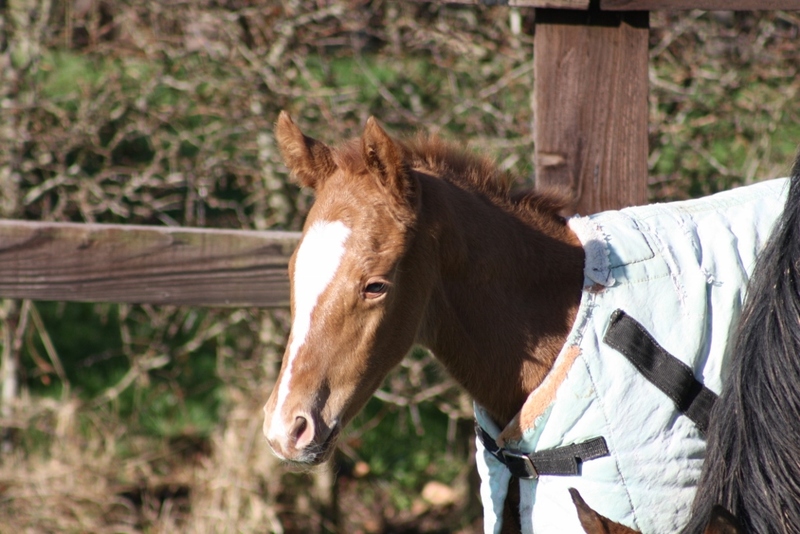 There is also a very talented filly called Holy Cat, very close to us. 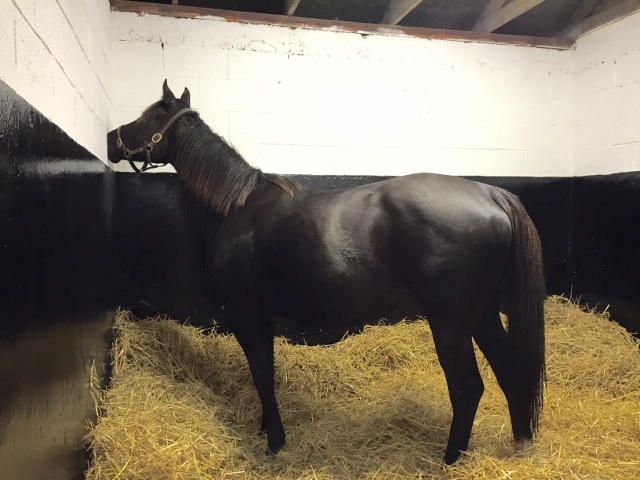 She is trained on the Curragh by Michael O' Callaghan and we will be following her three year old season with great interest. 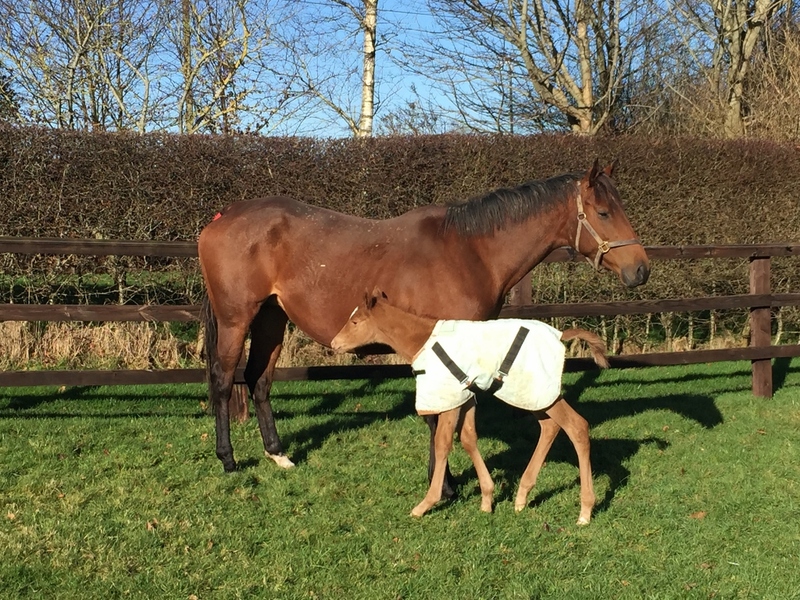 Mother and baby are enjoying the February sunshine!